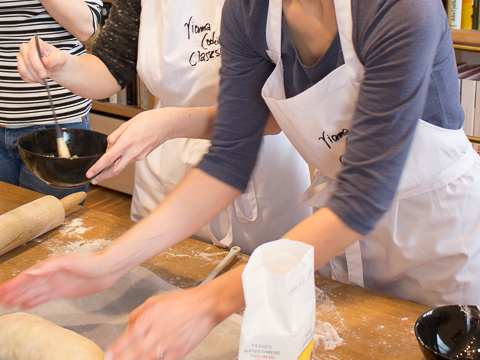 Join our private cooking classes in Vienna – We cordially invite you to our homes! 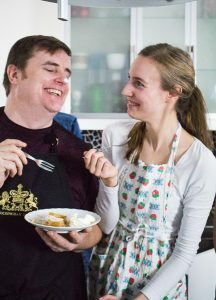 In this class, we will make Austrian Apple Strudel & Topfenstrudel (cream cheese Strudel) from scratch. The cooking class is held in English. For more information on our classes see our FAQs. The class takes about 2.5 hours. After the baking, we will enjoy our Strudel together with a traditional Viennese Melange coffee or tea. Location: In Vienna’s 2nd district, close to the public transport station “Schottenring”. The adress will be sent to you after your booking.